Are your kids fans of Peeps Easter candy? Personally, I am not a fan of these sugar coated marshmallow treats, but I am a fan of this Peep easter project! Here is a fun simple way to teach your children cutting techniques and also have something cute to hang on the wall for Easter decoration! You can find the tutorial over at Katydid and Kid. How much fun would it be to see how each member of your family creates a bunny plush figure?? You can find the how to over at Sweet Sugar Mama. 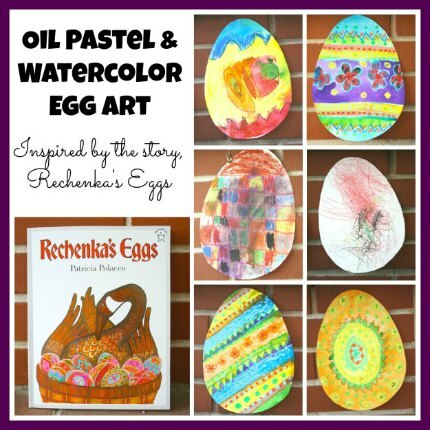 This is a great creation that you could do with your children after an egg hunt! 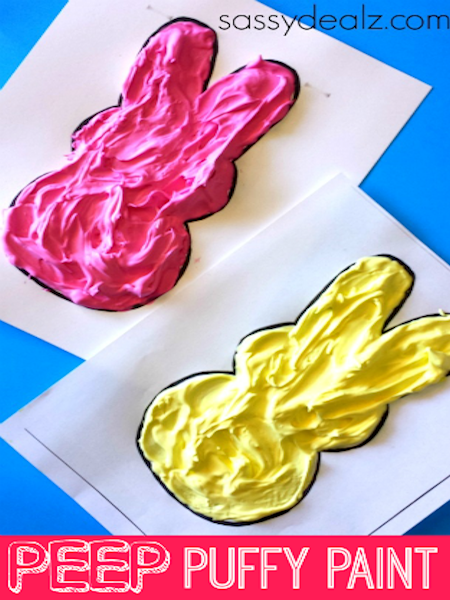 Collect all the eggs, and follow this tutorial over at Dabbler Mom to make a cute little bunny out of the easter eggs! This Palm Decoration tutorial is a fun and appropriate project to do to celebrate Palm Sunday, in preparation for Easter. You can find the tutorial over at Paper N Pearls.